Grüß Gott! I love Wikipedia. I can give you the link and I don't have to write the whole story again. 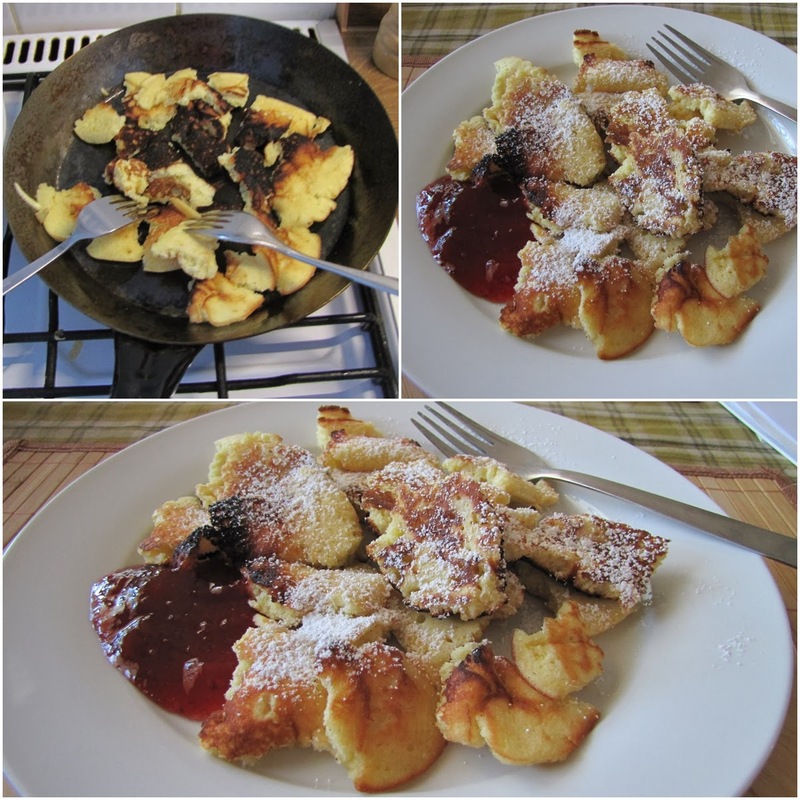 So today I made Kaiserschmarrn --> Exactly, here you can read more about Kaiserschmarrn. I always loved it but never made it by myself. It's like a fluffy scratched pancake. But now comes the story. 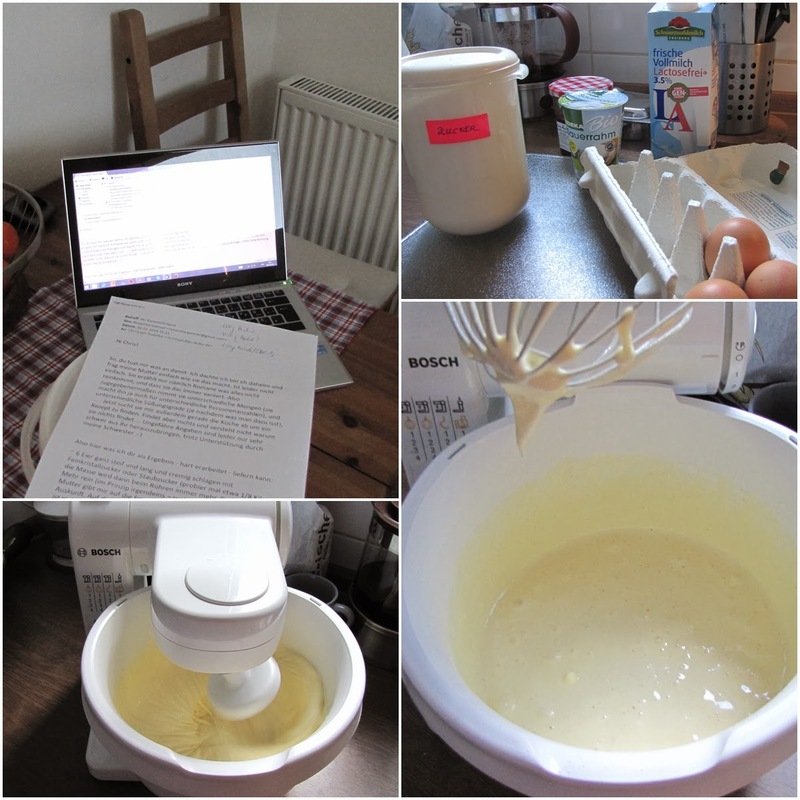 Last week I thought that before I'll try a recipe from the Internet, I'll better write an e-mail to Vienna to my friend R., asking her to tell me "the real" Austrian recipe. So far so good. R. was at her parents and so she decided to ask her mother directly for it. In the afternoon I got the e-mail. My three sentence e-mail and question nearly turned into a family fight... That's the problem with traditional dishes - everyone makes them without a recipe and if you are asked to write it down, you don't know what to write. It's like, "uhm, well, I use my eye instead of a scale", or "you know, it depends on for how many people I'm cooking or how sweet you want it...". As R. wrote in her e-mail, it was a long discussion with her mom and sister and they agreed more or less for the following proportions. You can take less sugar if you want. If you want to prepare it for more people, double the ingredients - it's a one-or-two people version. Mix eggs and sugar and vanilla sugar for a couple of minutes until it's twice the size, fluffy and bulky. Add the flour and mix it for a short while. Add the cream/milk or milk-cream-mixture (and raisins) and mix for a very short while until you get a viscid mixture, like a poundcake dough - but also not too thick! It should also not be too fluid. If it's too fluid, add some milk. I think it's possible to see the consistency on the photos. At steps 2+3 pay attention not to mix too long. Just mix it and the dough stays fluffy. Butter a pan (the taste with butter is much better than using oil). Cover the whole pan with a layer of the dough (around 1cm thickness). You know that much you would use for regular American pancakes, it's not a French crepe! 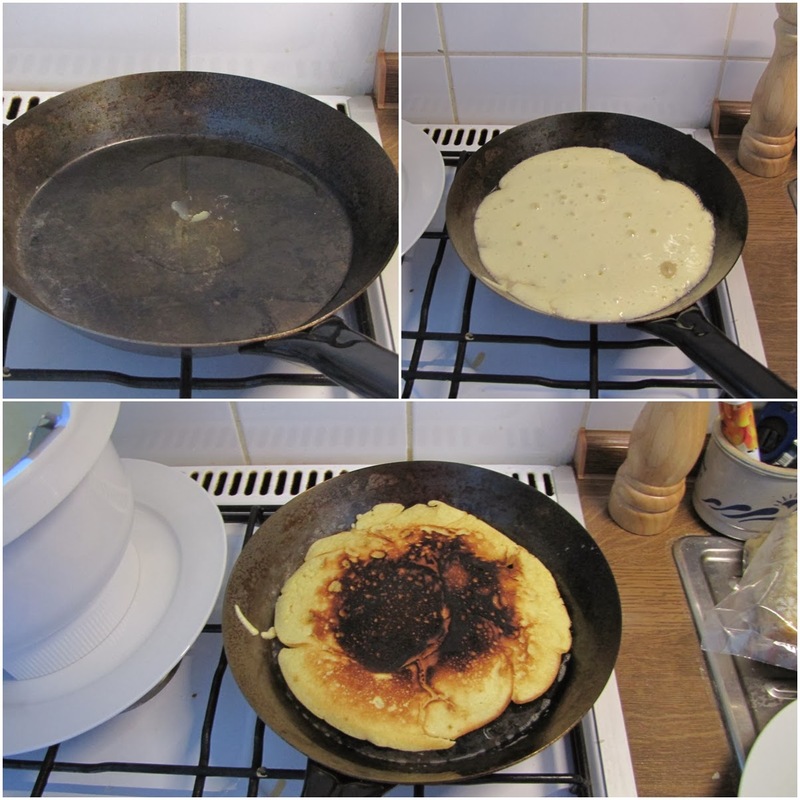 When you turn the "pancake", give it a half minute and then scratch it with two forks into small pieces. If you have a non-stick pan, take something else otherwise you'll scratch the pan as well. Serve it warm, covered with some powdered sugar with jam, compote, marmalade or whatever sweet you want. Ein ganz GROẞES DANKESCHÖN und viele Grüße nach Wien!